Price includes postage within the U.K. Shipping to the U.S.A. add £40 Western Europe add £10. 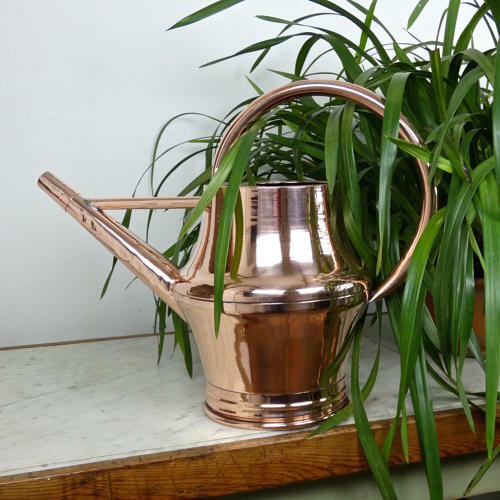 A large, and attractively shaped, French copper watering can dating from c.1900. This piece is well made, from a very heavy gauge of copper which has been spun. There are spining lines visible on the body of the piece. There is slight denting, from use, to the spout and the handle, but other than that the piece is in very good condition. There is solder around the handle and spout, where they are joined onto the body. This is the way that the piece has been made, not a fault.